I heard the might tree its death-chant chanting. Joining with master-tongue bore part. You promis'd long, we pledge, we dedicate. And wool and wheat and the grape, and diggings of yellow gold. Promis'd to be fulfill'd, our common kind, the race. 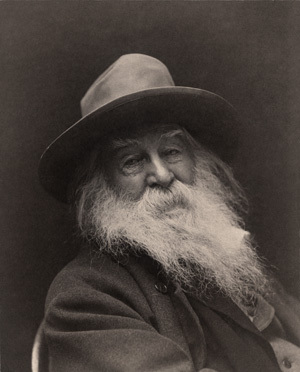 Walt Whitman, poetic cartographer of America. He wrote many poems about places.